Tax proposals developed by the Maryland Commission on Economic Development and Business Climate, known as the 'Augustine Commission' for its Chair, Norman Augustine, are set to come before the Maryland Senate Budget and Tax Committee, and the Maryland House of Delegate's Ways and Means Committee, at a joint hearing set for Wednesday, March 2. 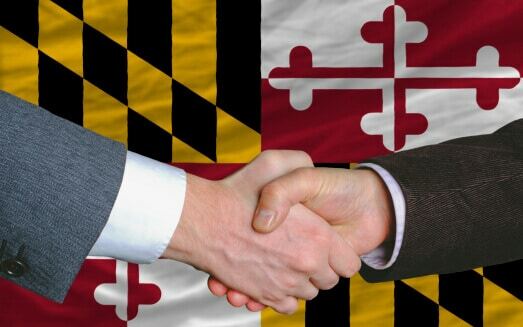 A set of tax proposals aimed at improving the business environment in Maryland is slated to come before a joint hearing of the Maryland Senate’s Budget and Taxation Committee, and the Maryland House of Delegates Ways and Means Committee, on Wednesday, March 2. The proposals, including a reduction in the corporate income tax rate from 8.25% to 7% over a two-year period beginning in 2016, and an exclusion for individuals of the first $20,000 of non-passive income received from pass-through entities, were included in the Final Report: Phase II, Taxes of the Maryland Economic Development and Business Climate Commission – known as the ‘Augustine Commission’ for its Chair, retired Lockheed Martin CEO Norman Augustine. Our colleagues at the Maryland Chamber of Commerce have taken positions on the proposals, and alerted us to the hearing. Although the MACPA has not taken a formal position on these proposals, we are sharing this information as individual members may wish to contact their legislators to inform them on the potential impact of the proposals on their business. For further information on the Augustine Commission’s recommendations, see: Chamber Recommendations Highlight Augustine Commission Report (Maryland Chamber of Commerce, Feb. 1, 2016), MD Senate Files Augustine Bill Package (The Daily Record, Feb. 9, 2016) and Augustine Commission Report Offers Business-Friendly Recommendations (WBAL, Jan. 15, 2016). In other Maryland General Assembly -related news, the MACPA’s advocacy efforts are making a difference, as reported by Bill Sheridan last week in Appeal Bond Bill Gets Unanimous Support from Maryland House, and in MACPA CEO Tom Hood’s Lookout Post update released earlier today.